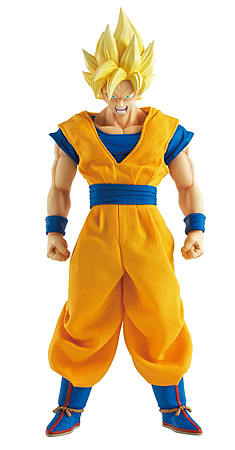 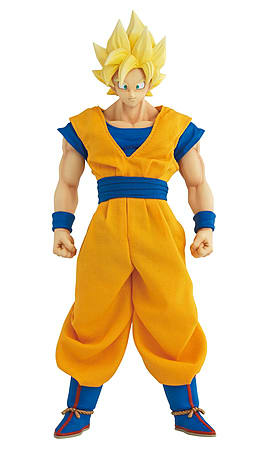 From Mega House's Dimension of Dragonball range of figures comes Super Saiyan Goku! 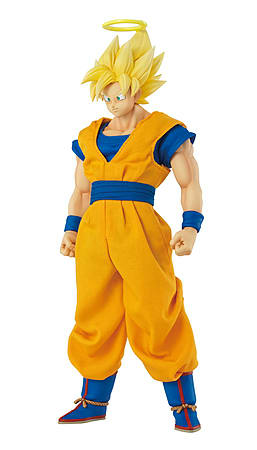 From Mega House's Dimension of Dragonball range of figures comes Super Saiyan Goku! 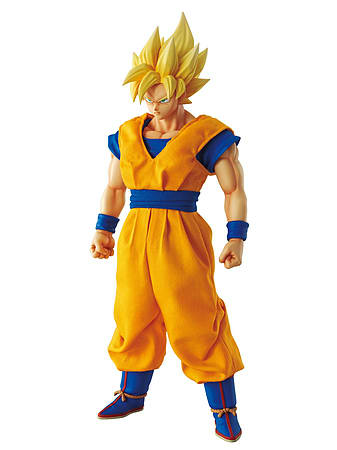 Sculpted by Hiroyuki Nakazawa, this 210mm tall figure allows you to display Goku in a high quality cloth costume and comes with 3 different facial expressions (Happy, Focused and Angry) as well as an optional Halo accessory.